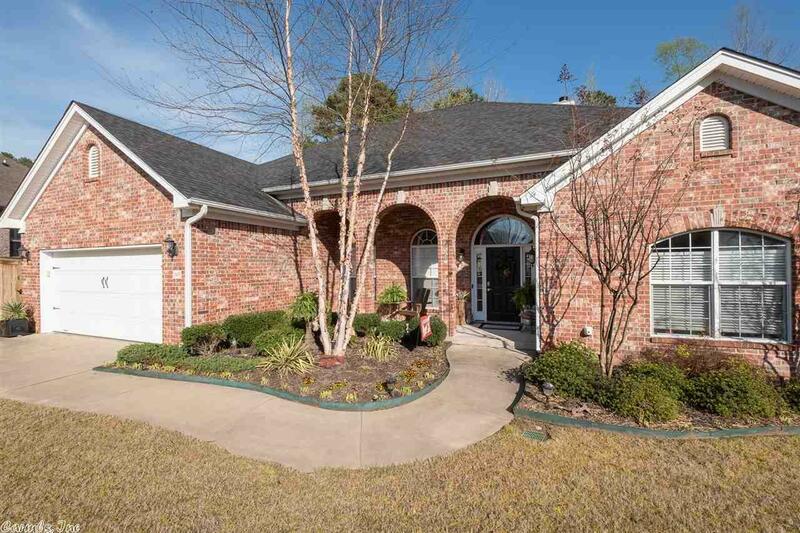 1 Level in Woodlands Edge w/3 BR 2 1/2B + Office w/french doors off foyer. Renovated master bath w/ new granite & walk-in shower+whirlpool tub.Kitchen remodeled w/ new granite & tile backsplash. Cozy breakfast dining +breakfast bar & formal dining. Updated lighting fixtures. Kenmore Elite stainless steel built in oven, convection oven & microwave & dishwasher. Jennaire surface range. Master bedroom separated. 2nd BR shares bath w/ 3rd BR (now used as 2nd office). Roof 2017. Landscaped yard with privacy.